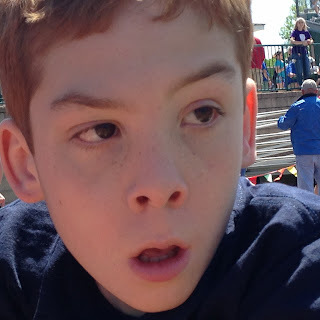 Ben is just ONE athlete who participates in the Special Olympics. There are many children and adults with intellectual disabilities who benefit from the sports programs, coaching relationships and fellowship that comes along with competing in the Special Olympics. There are no costs involved for the athletes. They attend practices, local tournaments, state games and world games - with no cost to them. All expenses are paid through donations. Today at 6:54am, a message on Facebook popped up from John, "hi vanessa". John is one of the adult athletes I met through the Special Olympics steering committee. After hellos and how are yous, John told me that he was going to the state games today for track and field. He competes in the softball throw and the 25 and 50 meter races. He proudly shared with me that he has been involved with track since 1972. 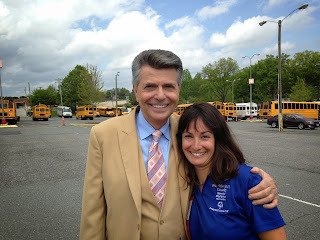 After he assured me that he would stay hydrated at today's games, we said our goodbyes. I can only hope that in 40 years, Ben will still be surrounded by this supportive and loving community of coaches, volunteers and athletes. Help keep Special Olympics strong. Donate to the Special Olympics Unified Relay Across America: Ben's Special Olympics Page. Our Team: Six Strong in Charlotte! On May 14th, the Flame of Hope was lit in Athens, Greece-the site of the last Special Olympics World Games in 2011. It arrived on American soil and is currently making its journey across the country via the Unified Relay Across America to Los Angeles for the 2015 World Games in July! Our team of passionate parents, students, and coaches will be running the torch on a segment in Charlotte, NC next Thursday, June 4th . This is a once in a lifetime experience to be a part of this movement to create awareness and unite communities in acceptance of those with intellectual disabilities. Amy Clark works with the Charlotte Mecklenburg School District as an Adapted Physical Education teacher. Amy is also a Special Olympics Coach and will be representing Mecklenburg County at the World Games as an Aquatics Coach. Jolanda Hengstman works with the Charlotte Mecklenburg School District as an Adapted Physical Education teacher. 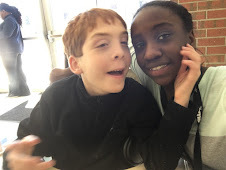 Jolanda is also the liaison between the CMS schools and Special Olympics Mecklenburg County and will be attending the World Games as a delegation liaison for Team The Netherlands. Marie Slusser works with the Charlotte Mecklenburg School District as Lead Adapted Physical Education consultant. She is very familiar with Special Olympics having been involved in a variety of roles since 1973. 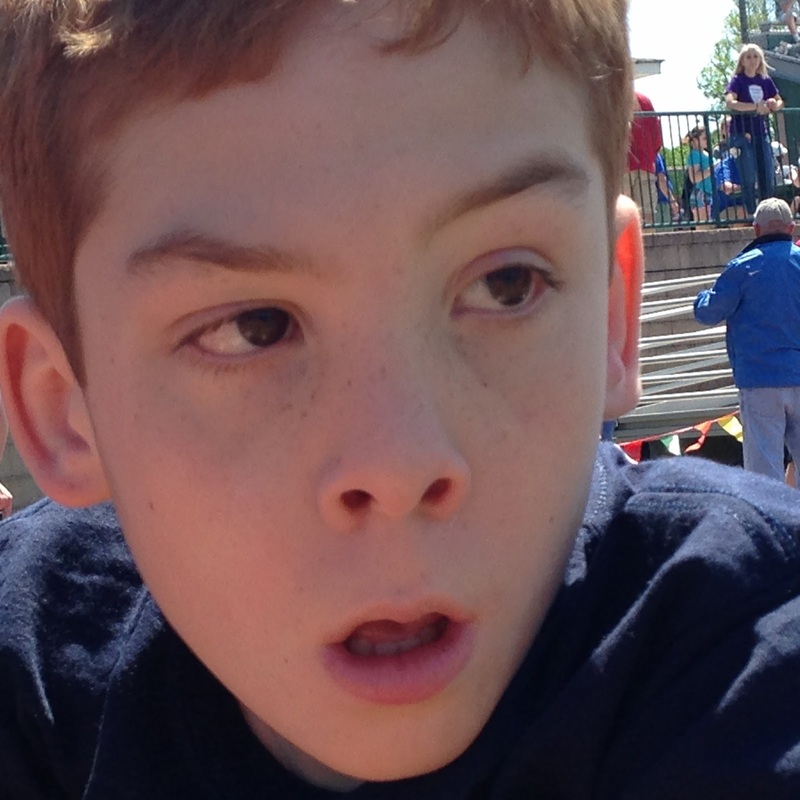 Ben McCall is a 5th grader and has been a Special Olympic athlete since he was 8 years old. Vanessa Infanzon is Ben’s mom and a volunteer on the Special Olympics Mecklenburg County steering committee. Lorcan Welton is a 4th grader at Park Road Montessori, Jolanda’s son, and loves sports. Our team is raising money for the Special Olympics. Your donation will help support the programs and services offered through the Special Olympics. Thank you for your help! 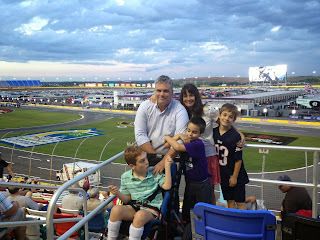 For the first time, we attended the 29th Annual Special Olympics Night at Lowe's Motor Speedway. Wow! What an impressive event for families, group home residents, teams and schools. We were greeted by the United States Air Force National Guard and handed t-shirts and flags. After dinner, dancing and even some frisbee play, we all headed over to the speedway in golf carts. 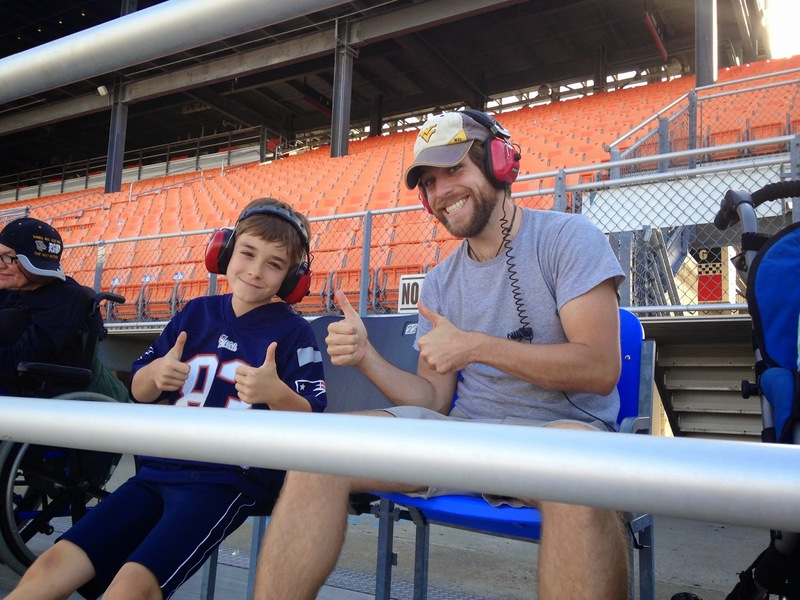 We went to a NASCAR race in 2011 with Grin Kids, but we were newbies and did not know to bring headphones or seat Ben in a wheelchair area. 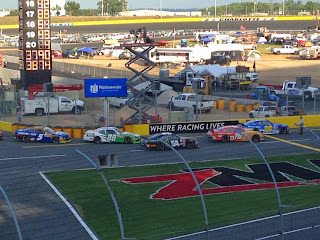 We spent the entire time fighting Ben as he "interacted" with the NASCAR enthusiasts and driven crazy by the noise of the roaring engines. This time we came prepared - headphones, earplugs and special seating for Ben. 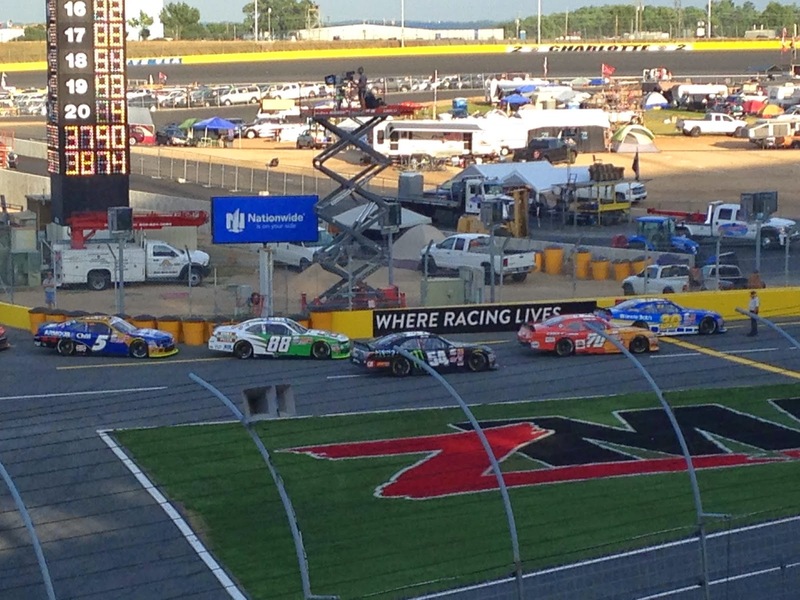 We made it through the practice rounds and all three qualifying races. We finished the evening with a thrill ride through the parking lot in a wheelchair ramped golf cart driven by a man who missed his calling as a race car driver. Thank you to the wonderful people who sponsored and planned this event! The media interviewing Special Olympics' staff asked why it is important for the community to support the athletes. In a three minute interview, it is hard to give the full answer. The quick reason is to show support to the athletes who have been working hard to participate and then compete in an event. The longer answer to this question, according to me, is to raise awareness in the community about a group of people who get left out, but who desperately want to be a part of something. They want to be included, noticed, liked, asked to join, befriended and accepted. "They" are no different than you or I. Filling the stands at the opening ceremonies with people who may be new to the Special Olympics organization and the population they serve may help people with intellectual disabilities be seen with athletic abilities, leadership qualities and communication skills. One friend took her two boys out of school to attend the opening ceremonies. The boys already asked to participate next year. 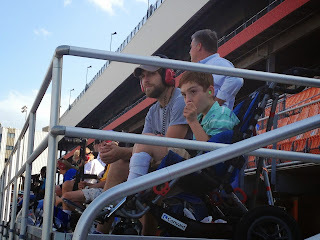 Why fill the stands for Special Olympics? Because it is just the beginning.